Naughty Dog has always lead the charge for Sony exclusives ever since the original PlayStation. Crash Bandicoot, Jak & Daxter, The Last of Us and of course Uncharted have all defined their respective platforms. This is a developer of the highest esteem, creating experiences that go unrivaled and hold the test of time, at least to a certain degree. 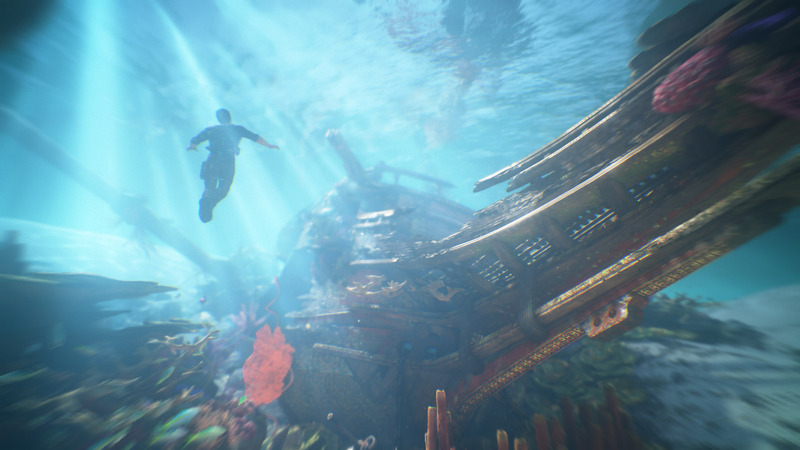 The Santa Monica-based studio has broken their mold a bit, developing a fourth iteration of a franchise after already starting anew just a few years back, but considering how highly regarded Uncharted is, no one is going to hold it against them. 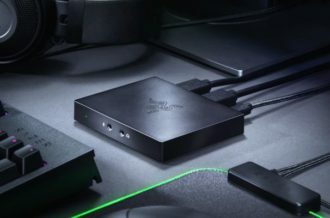 They continually push graphical fidelity for what this enclosed platform is able to accomplish and are able to establish some of the most cinematic set pieces in video games. Naughty Dog continues this trend with Uncharted 4: A Thief’s End, crafting the absolute perfect sendoff for Nathan Drake. The story takes place sometime after the events of Uncharted 3 where our ever so lovable protagonist Nathan Drake has hung up his holster in favor of a rubber stamp and a regular job. His life of exploring uncharted territories through not-so-legal means has now come to an end, that is until his older brother, whose reasoning for being absent from Drake’s past is conveniently summed up in the first two chapters, turns up with trouble. The long lost treasure of pirate Henry Avery was on the Drake brothers’ to-do list for fifteen years, but now it’s time to finish what they started as they traverse the world once more, trying to uncover immense riches. The story of Uncharted 4 isn’t necessarily up to the caliber of, say, The Last of Us, but it’s still the best the series has seen, not only including memorable set pieces, but strong character building that will pull on the strings of players. 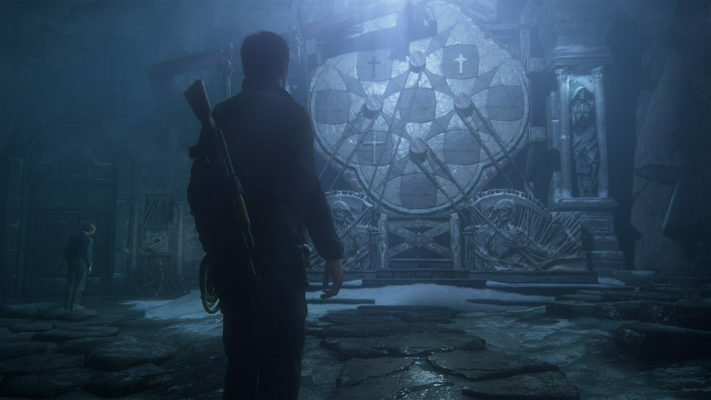 We also applaud Naughty Dog for not going down the traditional, stereotypical Indiana Jones-esque plot route, as this is a little bit more grounded in reality and focuses on relationships and history, rather than branching into absurd fiction. This is thirteen hours of pure excitement that truly finalizes things in the best way possible. The relationship between Nathan and his brother, Sam, and wife, Elena, is more or less the highlight of the adventure. Sam Drake has far less experience than Nathan, but their constant chatter to one another and frequent missteps really reflect that they truly share the same blood. They may act like bumbling idiots constantly finding themselves in near death states from the smallest actions, but it lends to how their relationship is told. Elena’s role in Uncharted 4 is more of an emotional one, as similar to the last game where she has few scenes in the first half of the story, the second half shows how obsession can damage the lives of everyone around you. The tension and passion the two have for one another is deeply ingrained in the plot, making their interactions in the latter half of the campaign all the more nail biting, not knowing how their relationship will end up. Unfortunately, while the protagonist and his supporting cast are vastly expanded upon, it’s the antagonists that take the back seat. Rafe Adler is a spoiled individual who was raised in wealth, whereas Nadine Ross runs the mercenary crew, Shoreline, in which Rafe employs to find Avery’s treasure. The two play the role of rivals to the Drake brothers, and as villains to the story, won’t hesitate to kill or disturb the peace to get what they want. The problem here is that their prescience is more alluded to over anything else, and their existence feels is used only as a driving point to speed up Nate and Sam’s quest. We barely get to know the two, outside of Rafe is simply the one with the money and Nadine is the muscle who knows how to fight, as they rarely rear their heads throughout the campaign. They’re more of an ominous nuisance with an army at their beck and call; nowhere near the psychotics of Lazarevic or the elegance of Marlowe. Even the final encounter, which is a phenomenal action sequence, doesn’t feel earned. 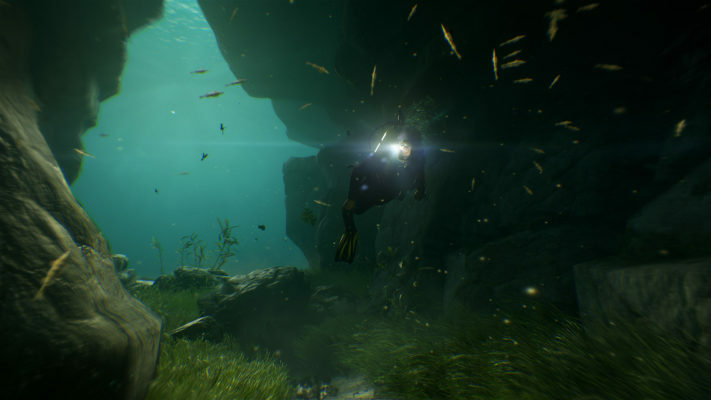 Most players who are familiar with the Uncharted franchise should be able to comprehend the general gameplay mechanics, but there are a few new additions as well. This is still very much a third person cover-based shooter as Drake will be hiding behind various structures and climbing on ledges to hopefully get the jump on his opponents. That’s no different here, but the addition of the grapple rope makes things far more interesting. Most combat scenarios have the addition of a grappling point that allows players to move from points on the map easily and fluently. Because of the more open design in Uncharted 4, this helps in various situations, even though there are a couple questionable choices where they’re placed. There’s nothing like going into combat by swinging off a platform and decking a merc, although pulling it off in a fashionable manner is far more difficult than it looks. Expect to get gunned down while swinging back and forth. While players are more than likely to use the grappling hook and go guns blazing, a far more capable and viable stealth mechanic has been implemented. A vast number of encounters in Uncharted 4, at least in the more open areas, have Nate and friends getting the jump on enemies, and depending how a situation is approached, players can stealth entire sections of the game without much trouble – provided the little meter above each enemy’s heads doesn’t fill up. That doesn’t mean the entire game can be played as stealth, though, as Nate still has to murder hundreds of mercenaries that get the jump on him. In addition, thanks to the larger scope of the environments, there are quite a few slower paced sections that allow for some exploration, Rise of the Tomb Raider style (although not well realized). There’s just a good blend of both over the top action sequences and calmer moments throughout the story that it doesn’t drift too far off from the goal. The biggest complaint one would have with the campaign is that there are a few areas early on that aren’t first-rate. For example, the Scotland section had an opportunity to be one of the best locations in the game, but it’s reverted to a bunch of sliding “puzzles” (if you can call them puzzles) and uneventful encounters. Same can be said about the twelfth chapter which from the outset looked like an incredibly sprawling location ripe for adventure, whereas, while it’s absolutely beautiful, it feels relatively limited and far less interesting in comparison to the rest of the puzzle / slower paced locations. They still include story and character building throughout, but there are still a few off chapters here and there that don’t hit their mark. Thankfully there are twenty-four chapters to get through, the vast majority of which are memorable in their own ways. While Naughty Dog started the series off as a single player experience, they have slowly adapted a multiplayer component over the years. It seemed like a great formula: pirates and scoundrels fighting over booty while gunning each other down. It wasn’t the most creative implementation, but at least it provided extra replayability for those who finished the eight-to-ten hour long single player. Uncharted 4 continues with this format by giving players an incredible amount of customization, while establishing a microtransaction format in the process. Hats are pretty big right now. 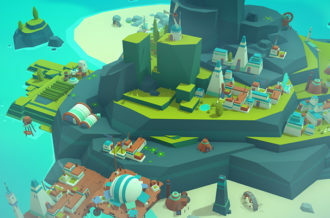 Outside of that, the multiplayer contains three modes which includes Plunder, which is basically capture the flag but for a neutral piece of treasure on the map, Command is about protecting a captain of a team while capturing sections of the map, and the self-explanatory Team Deathmatch, which also has a ranked mode. There’s not too many modes here to speak of, not to mention only eight maps at launch, but what’s here does lay the basis of an enjoyable formula. As for the gameplay, there are a couple of changes from the base format. For one, there’s an in-match currency that’s obtained by picking up treasure in the environment and mowing opponents down. 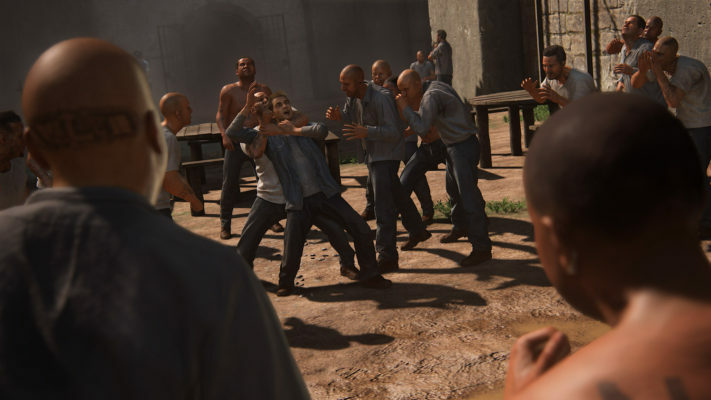 Depending on what class is chosen, players will be granted different skill sets to purchase; some can call medics or gunmen, while others may have supernatural traits that can do damage over time. It’s a nice change of pace that ramps up the chaos a bit more. There’s even a good number of characters to choose from, whether they’re from Uncharted 4 or past games. Overall, the multiplayer component is purely just here. It’s fantastic that Naughty Dog was able to obtain a smooth, higher frame rate for this component, but it’s a small fraction of the package that pales in comparison to its memorable cinematic campaign, and doesn’t hold a candle to other competitive shooters. It still can be highly enjoyable and doesn’t feel slapped together like a lot of other games, but it still is a tad bit light on variety. 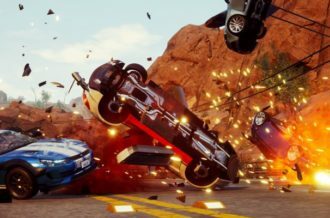 We can’t leave this review without talking about the visuals. Naughty Dog is well known for pushing the envelope when it comes to both technical and artistic design, and Uncharted 4 stands above anything they’ve done in the past. A Thief’s End is arguably not only the best looking game ever released, but its artistic values glow far greater than any other. One could make a case for The Order: 1886 still being the prime example for the PlayStation 4, but the problem with Ready at Dawn’s linear-third person shooter is that it was artistically drab and dull with little that popped out of the screen. Uncharted 4 not only matches the level of detail in a grander scale, but surpasses it with a lively color scheme that’s varied in each mission, and the animation both in-game and during the cutscenes borders on uncanny valley at times. 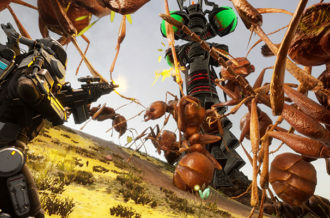 The subtle details within the animations make this a graphical marvel and it helps that the set pieces are high-octane action sequences that push the excitement to whole new levels. Naughty Dog has done it again, creating a cinematic marvel that sets the bar for the action genre. There are a couple of off moments throughout the story and the multiplayer, while a decent component, lacks the variety other games deliver, but the thirteen hour single player campaign will blow you away. It’s filled with an intriguing mystery, heart-wrenching emotional scenes, incredibly over the top set pieces, and of course the humor fans have come to love from our plucky (now older) hero and his trusty sidekicks. This truly is the sendoff Nathan Drake deserves, as all of his adventures have lead up to this monumental event. It does feel strange introducing his older brother right at the conclusion of the saga, but it works from a narrative perspective in the end. 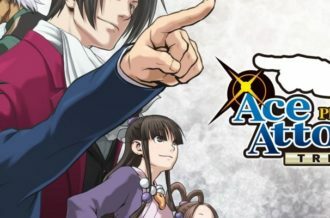 The gameplay mechanics are also easily the best the series has seen, with the grapple hook and stealth mechanics creating new and thrilling ways to tackle encounters. 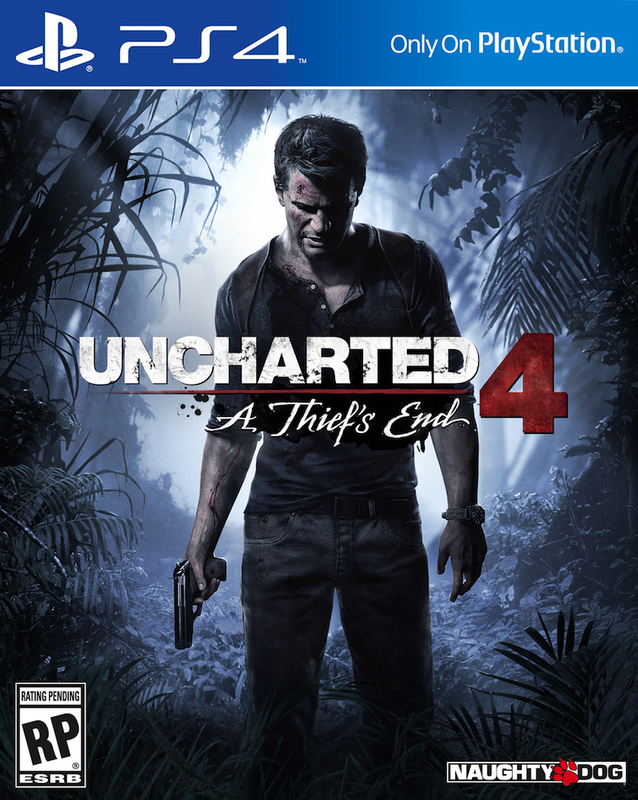 Unless you’re someone who dislikes action games or cinematic experiences, everyone with a PlayStation 4 should own Uncharted 4: A Thief’s End.